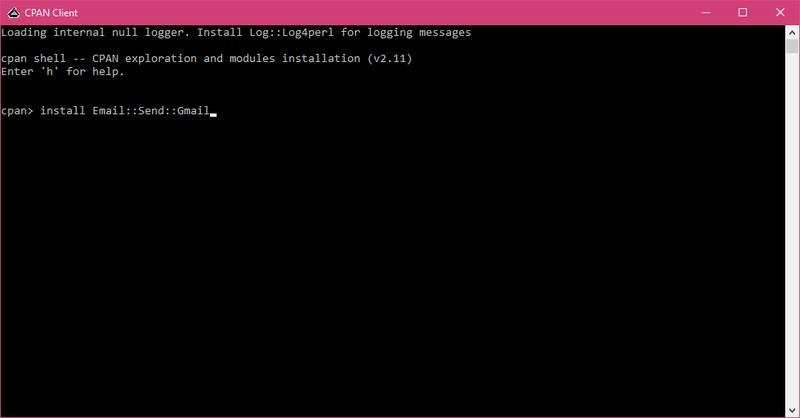 In this program I am using Gmail to send an email from Strawberry Perl on my Windows 10 system. I installed latest Strawberry Perl 5.24.0.1 (64bit) msi and it works fine on Windows 10 Pro 1607. 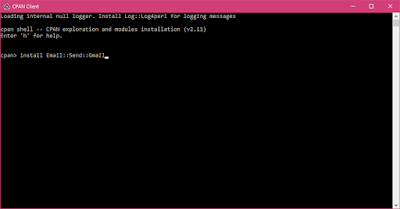 Next install few modules that are required to send email. Open start menu and type CPAN Client that was installed on your PC by Strawberry Perl. As we are using gmail for sending email you need to authenticate your account against gmail's smtp server with your gmail credentials and make sure you have enables POP and IMAP email forwarding on from gmail settings.